Sam's Club will be giving out free samples of their Icee Float on July 15 and 16, 2018, from 11 AM to 6 PM, at all US locations. They will be an Icee float cart at each store to dole out the freebie. The floats come in three flavors: Frozen Cherry, Frozen Pepsi, and Frozen Blue Raspberry. Each float comes topped with new Member's Mark Premium Vanilla Ice Cream (typically soft serve is made with reduced fat ice cream, which is generally cheaper to make because it contains less cream). 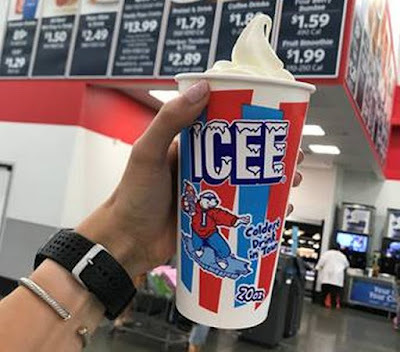 Additionally, you can buy a 20-oz Icee Float for 99 cents at each Sam's Club Cafe, which you don't need a club membership to access.